CTRF REVIEW | Fauna and Flora Research Collective Inc. The FFRC has published numerous reports since 2010 concerning the identification and protection of rainforest communities within State Forests in the context of logging operations. 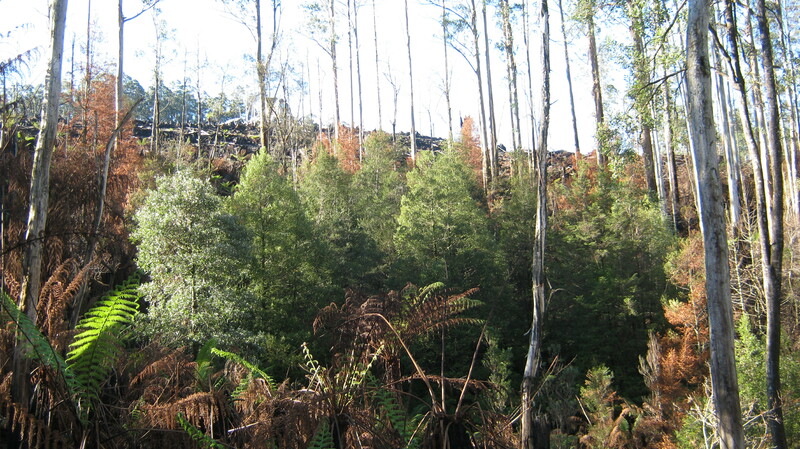 Each of these reports document circumstances where VicForests has or intends to log rainforest communities or buffers required for their protection. Despite this reporting, VicForests and the Department (DSE/DEPI) continue to employ inadequate methodologies for identifying and protecting rainforest. As a result, rainforest across Victoria is contracting and even those refuges once found in the sheltered gullies of the ranges are no longer providing protection from the cumulative effects of logging, Departmental burning regimes and wildfires. The following review compares the current “rainforest regulatory framework” operating in Victoria with the methodology used by VicForests. This review concludes that VicForests’ methodology does not meet the minimum standards contained within this framework and must be updated to properly identify and protect Cool Temperate Rainforest communities.